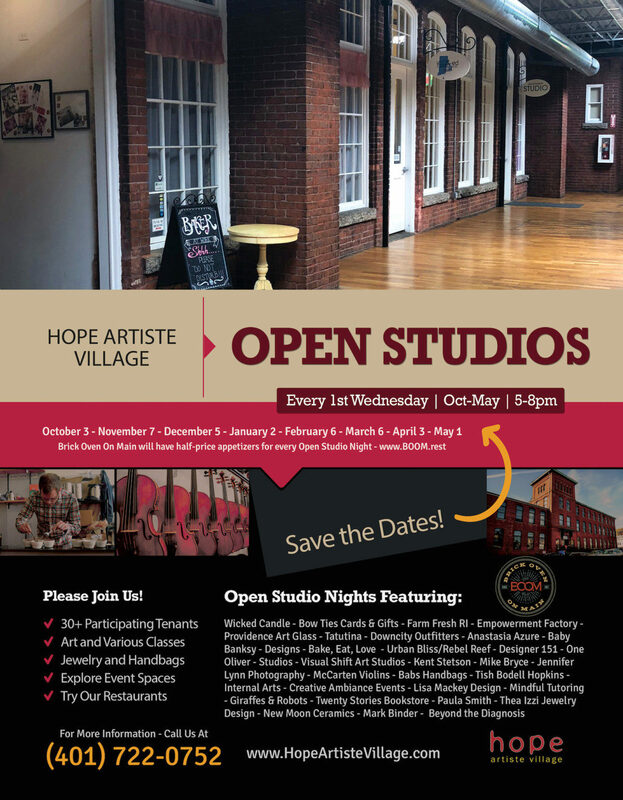 Hope Artiste Village hosts an open studio on the first Wednesday of each month. This months will be December 5th and featured 30+ artists displaying their work as well as holding various classes. Brick Oven on Main also offers half-prices appetizers during open studio!